This guide will be taking a look at a real LV Damier Azur belts , scrutinizing some of the authentic specs. Understanding some of these fundamental details will help you easily spot the majority of the fake belts simply from an online image at the very least. The first thing you should look for is the spacing between the vertical prong of the L and V. The spacing between these two points should remain the (relatively) same distance from the bottom of the buckle to the top. Many fake Damier belts will have this spacing uneven, where it is noticeable to the naked eye. Authentic belts do not have to have complete precision, but the spacing should not be obviously uneven. This simple tip should allow you to quickly filter through a large portion of the counterfeit belts that you will encounter on e-commerce sites such as ebay and Amazon. The image below will go into further detail concerning the buckle, adding some pattern spacing specs at the tip of the belt, as well as the proper fixation of the buckle within the Damier pattern itself. 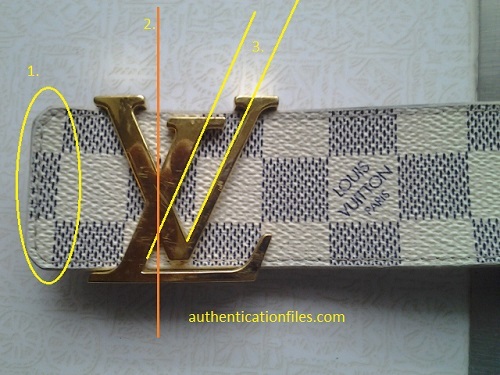 Below is a mark up of an authentic Damier LV buckle noting the important authentication specs. The parallel spacing, the centering of the intersection of the L and V within the square pattern, the partial pattern at the tip of the belt. The first point  refers to the partial damier pattern at the tip. You can clearly see that the pattern begins with a partial pattern. The width of the pattern can be determined by counting the column marks at the bottom or top of the square. In this case, it appears to be about 4 columns wide. And this width will generally be consistent on most authentic belts. The second point  is to mark where the buckle itself should be mounted with respect to the pattern. Here you can see that the bottom intersection of the L and the V is fixed at the border of a light/dark square, centered within.This lower intersection is marked where the orange line overlaps with the yellow line. This detail should also be fairly consistent with authentic belts. The third and final point  demonstrates what we referred to in the image above as the spacing between the L and V. The yellow lines demonstrate the parallel spacing that remains consistent from the bottom to the top. 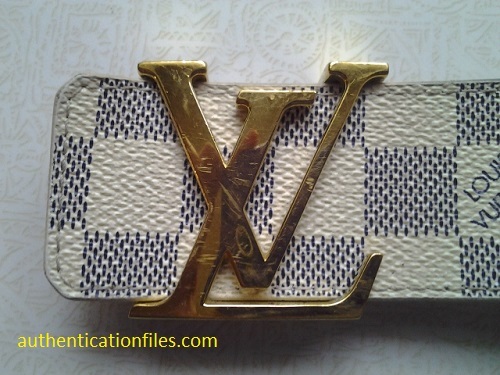 Below is an image of the Louis Vuitton heat stamp impressed into the inner belt. 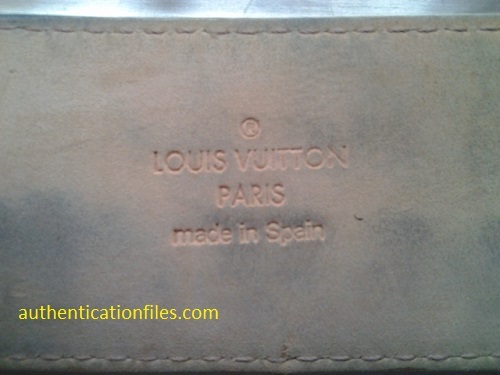 This is an image of the Louis Vuitton 'Made in Spain' heat stamp specs. The heat stamps are important because they will give a number of clues as to the authenticity of the belt. For more info on some of the specifics of the actual Louis Vuitton font, take a look here. 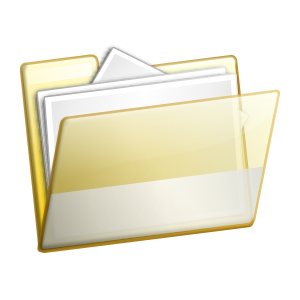 For the purpose of this guide, we will focus on two issues. The first is the quality issue. The heat stamp should generally be a high quality impression, one that is crisp and clear and whereas the letters do not blur or bleed into each other. 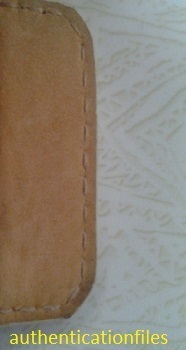 And the second point to take of is the number of stitches that run the width of the heat stamp. In this case, roughly 7 stitches are contained within the width of the heat stamp. This is a good clue. Authentic Damier belts will generally come within this range. Below is an image of a model number and size measurements of the belt. The model number and size stamp should conform to the same quality issues as the heat stamp. On this belt, the model number reads: M9609. Below this is the size reference. The upper number refers to the belt size in centimeters, and the lower number refers to the size in inches. 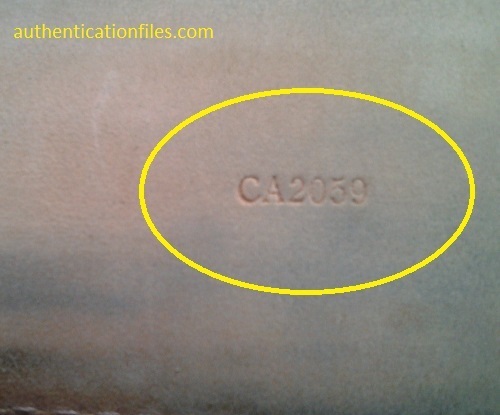 Below is an image of the date code stamped into the inner Damier belt. The date code is important piece of the authentication story as it tells where and when the item was made. Firstly, note that the date code should also maintain the same quality level of detail as the label, model and size heat stamps. This particular date code reads: CA2059. For more information on deciphering a Louis Vuitton date code check out our table here. In this case the country code [CA] stands for 'made in Spain', and the following four digit sequence tells us that this belt was made in the 25th week in the year 2009. Another detail to point out is the difference in font type for the digits that Louis Vuitton has used for Damier belt. Notice the number 5 within the date code (left) when compared to the 5 in the size metric (above). The two fonts are clearly not the same. This is something to pay attention to, as many fakes might miss a detail like this, and simply (for reasons of time and money constraints) use the same font (stamp) for the entire belt. Below are some hardware and stitching details to take note of. 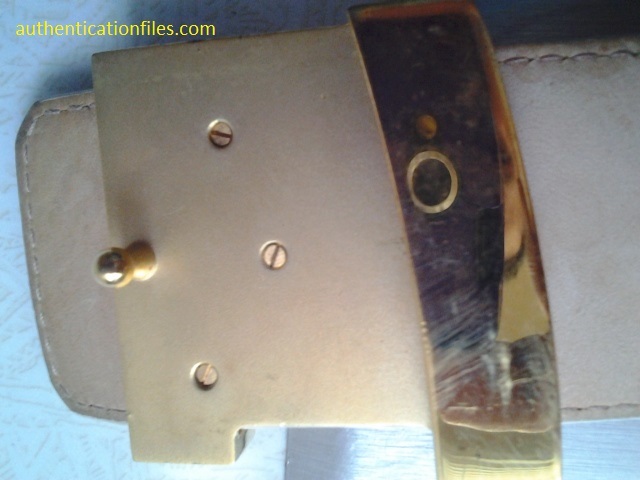 In this case, the type of screw and the shape of belt fastener. Notice that the screws used are flat head (-) and not of the Phillips variety (+). Also notice how the fastener has a sleek curvature to it. The image on the right shows the inner end point of the belt. What is important to note here is the stitching. The stitching maintains an even spacing between it and the edge of the belt, and there are roughly 10 stitches that run across the very tip of the belt.